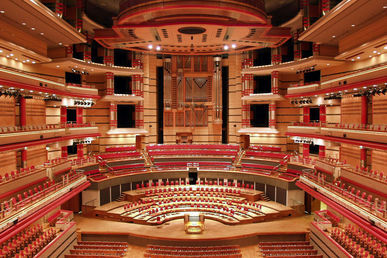 After a thorough investigation into the sector, for which Town Hall Symphony Hall has actively submitted supporting information, the Competition and Markets Authority (CMA) has identified widespread concerns about the information people are given, and gathered evidence which it considers reveal breaches of the law. customers need to be told where exactly in a venue they will be seated. In addition, the CMA will be acting to address a failure by one website to comply fully with formal commitments it had previously given to improve the information provided about tickets advertised on its site. concerns about whether the organisers of some sporting events have sold tickets as a primary seller directly through a secondary ticket website, without making this clear to consumers. The CMA will gather and assess evidence on these additional issues before deciding on whether further enforcement action is required. Secondary ticketing websites can offer an important service – by allowing people the chance to buy tickets at the last minute or giving them a chance to re-sell tickets they can no longer use. But our investigation has identified concerns that the law protecting consumers is being broken. Thousands of people use these sites and they have a right to know if there is a risk that they will be turned away at the door, who they’ve bought their ticket from or exactly what seat at the venue they’re getting for their money. We are putting our concerns to these websites and will be requiring the changes necessary to tackle them. We will use the full range of our powers to get the right outcome for these sites’ customers – including taking action through the courts if needed. National Trading Standards (NTS) and Trading Standards Scotland which are looking at the practices of businesses that buy and sell tickets in bulk. In NTS’s case this will include looking at how these businesses acquire tickets. The CMA will also be engaging with event organisers to help them to avoid being challenged for using unfair terms to restrict the resale of their tickets. The CMA has today proposed a number of steps that the industry could take in order to stop consumers losing out. The CMA is inviting feedback from the industry on this proposed approach.